With a lack of suitable volunteers to take on current committee roles, and insufficient manpower to deliver the wide range of tasks involved, the present team has been left with no choice but to wind up the awards. There were three Gemmell awards, the Legend for the year’s best fantasy novel, the Morningstar for the year’s best debut in fantasy fiction, and Ravenheart for the creator of the year’s best fantasy book cover art. The winners were chosen by open public vote. 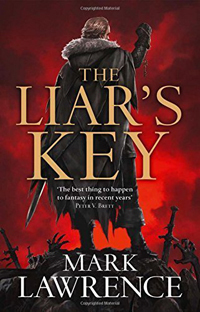 The 2018 David Gemmell Awards For Fantasy — the Legend, Morningstar, and Ravenheart Awards — were presented July 14 at Edge-Lit 7 in Derby, UK. The awards recognize the best in fantasy fiction and artwork. 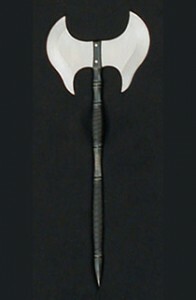 The Legend Award is presented to the fantasy title judged the year’s best by open vote. The Morningstar Award honors the author judged to have made the year’s best debut in fantasy fiction. The Ravenheart Award is given to the creator of the year’s best fantasy book cover art. Richard Anderson for Kings of the Wyld by Nicholas Eames (Orbit): Design by Lisa Marie Pompilio. This is the awards’ tenth year. Shortlists for The 2018 David Gemmell Awards For Fantasy — the Legend, Morningstar, and Ravenheart Awards — have been posted. The awards recognize the best in fantasy fiction and artwork. Open voting on the finalists has begun and will continue until midnight on June 1. The awards will be presented July 14 at Edge-Lit 7 in Derby, UK. Kerem Beyit for The Fall of Dragons by Miles Cameron (Gollancz): Design by Sidonie Beresford-Browne, Abi Hartshorne, Sue Michniewicz and Jamie Tanner. Sam Green for Oathbringer by Brandon Sanderson (Gollancz): Design by Tomas Almeida. Jackie Morris and Stephen Raw for Assassin’s Fate by Robin Hobb (HarperVoyager): Design by Dominic Forbes. Kerby Rosanes for Godsgrave by Jay Kristoff (HarperVoyager): Design by Micaela Alcaino. 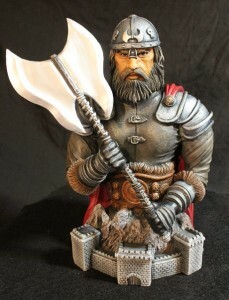 Longlists for The David Gemmell Awards For Fantasy — the Legend, Morningstar, and Ravenheart Awards — have been posted. The awards recognize the best in fantasy fiction and artwork. Open voting to determine the finalists has begun and will continue until midnight on March 30. Next, voting on the shortlist will open midday on April 20 and close at midnight on June 1. The awards will be presented July 14 at Edge-Lit 7 in Derby, UK. The winners of the 2017 David Gemmell Awards were announced today at Edge-Lit 6 in Derby, UK. 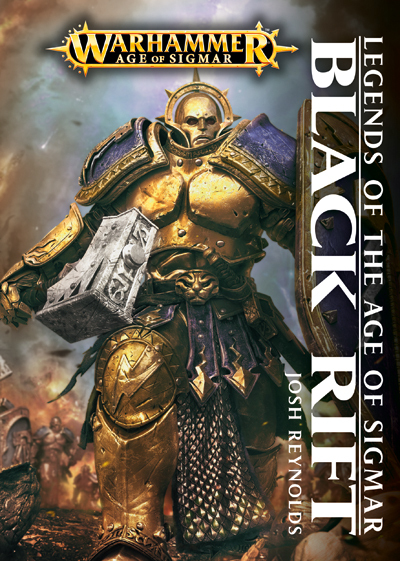 The finalists for the 2017 David Gemmell Awards have been announced. Open public voting on the shortlist continues until at midnight on June 2. The awards will be presented July 15 at Edge-Lit 6 in Derby, UK. Longlists for The David Gemmell Awards For Fantasy — the Legend, Morningstar, and Ravenheart Awards — have been posted. The awards recognize the best in fantasy fiction and artwork. Open voting to determine the finalists has begun and will continue until midnight on March 31. Next, voting on the shortlist will open midday on April 21 and close at midnight on June 2. The awards will be presented July 15 at Edge-Lit 6 in Derby, UK. The 2017 David Gemmell Awards ceremony will take place as part of Edge-Lit 6 in Derby (UK) on July 15. Edge-Lit 6 will be held at QUAD, Derby’s independent cinema and art space. With a growing reputation for quality and an audience of 200+ each year, the event offers an array of panels, workshops and book launches as well as popular yearly features such as the live Edge-Lit raffle. Tickets for Edge-Lit 6 on sale at http://www.derbyquad.co.uk/film/edge-lit-6.aspx and cost £30, including access to all sessions on the day and an event goodie bag. 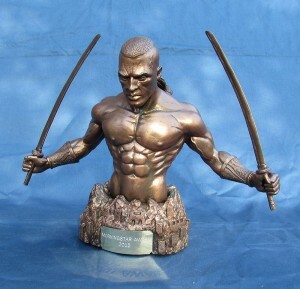 The 2015 David Gemmell Awards for Fantasy were presented at FantasyCon in Scarborough, UK on September 24.